Mark Twain once wrote: "It ain't what you don't know that gets you into trouble --it's what you know for sure that just ain't so." So it was that, 109 years ago, some of humanity's collective confusions were lifted when a 26-year-old Swiss patent clerk realized that something that everyone on Earth knew for sure was actually profoundly wrong. 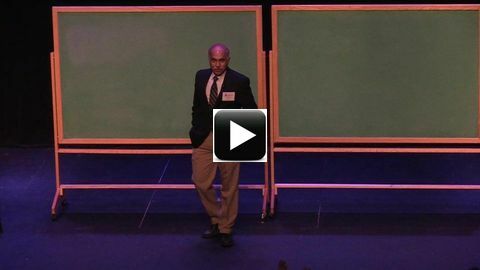 Come hear Professor Shankar get to the heart of Albert Einstein's great insight, which has been called "The most beautiful thought that anyone has ever had," using a blackboard, a piece of chalk and no equations. The only prerequisite for you: an open mind. 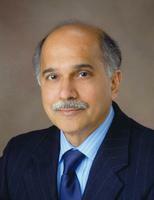 Professor R. Shankar is the John Randolph Huffman Professor of Physics at Yale University. A popular lecturer, his wry sense of humor and spontaneous witticisms have made him as famous as his research accomplishments and best-selling textbooks. A sample: "Many people think that, since they're going to be doctors or something, they're never going to need to know about relativity. Well, what if one of your patients starts running away from you at the speed of light? Then you really need to know this."